As well as valuing their privacy, it seems that some people want to make spectacles of themselves. Include in this category conspicuous whistle blowers exposing secrets — about covert operations that uncover other people’s secrets. 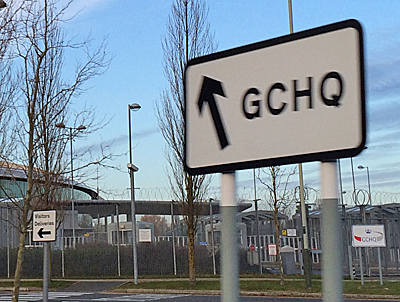 Amidst concerns about the interception of text messages, voice, and phone data by GCHQ (Guardian) and ubiquitous video surveillance, spare a thought for those who like being visible, and watched, as if their actions have consequences. Perhaps broadcasting yourself, being heard, watched, and known about constitute the attractions of social media — blogging, tweeting, posting YouTube videos. Showing off is part of what it is to be sociable. Presumably showing off is an aspect of people’s lives they prefer to manage themselves without assistance from GCHQ. Big screens in public spaces can exploit this propensity to show off. 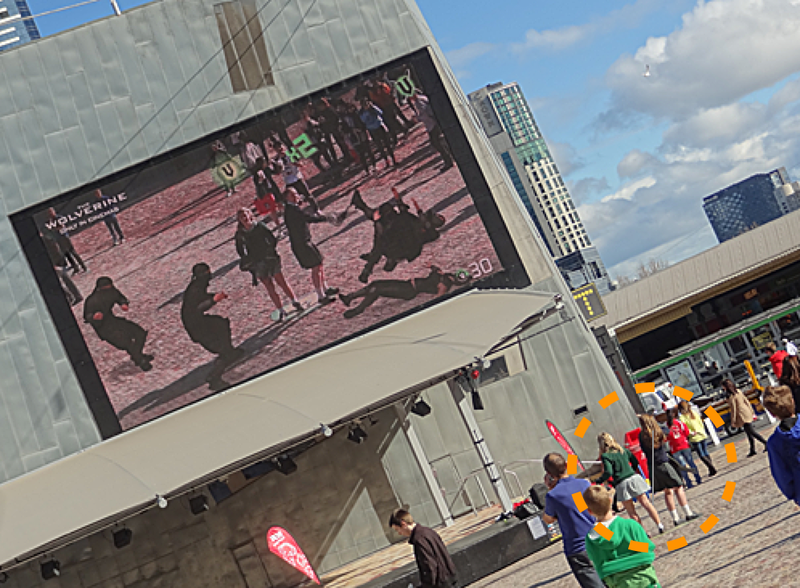 I observed this in Melbourne’s Federation Square on a bright winter’s day as kids queued to fight virtual ninjas. I don’t think it was just the fun and challenge of kick boxing the bad guys. The action was amplified, enlarged and constituted a big screen spectacle watched by others. Slavoj Zizek provides challenging, if not skewed, insights about human anxiety in the age of mass surveillance. What we obtain here is the tragi-comic reversal of the Bentham-Orwellian notion of the Panopticon-society in which we are (potentially) “observed always” and have no place to hide from the omnipresent gaze of the Power: today, anxiety seems to arise from the prospect of NOT being exposed to the Other’s gaze all the time, so that the subject needs the camera’s gaze as a kind of ontological guarantee of his/her being (225). I used to think Zizek said we are anxious that after all there’s no one at the other end of the camera. No one is monitoring or watching, which is the same as saying no one is really interested in me after all, in spite of the surveillance technologies that suggest they are. That’s a variation on Zizek’s point. In most cases no one is watching all those surveillance videos. The image data is stored in a loop, erased and over written every few hours, or it’s stored in a repository somewhere and only retrieved during a police investigation. Back in the 1960s, the urban activist Jane Jacobs developed the concept of natural surveillance: “A well-used city street is apt to be a safe street” in which “public street spaces have eyes on them as continuously as possible” (44). The eyes are of course human eyes, not lenses. On a contrary note Zizek asserted in an article in The New Statesman that we now need security cameras in order for people-friendly public spaces to exist. He provides an example from a Chinese news report. according to the People’s Daily (the government newspaper) which, in an online opinion poll, asked a large sample of young people what they would do if they were to see a fallen elderly person: “87 per cent of young people would not help . . . People will only help when a camera was present.” The reluctance to help signals a change in the status of public space. Even in a public space, I am still within my private space, engaged in no interaction with other people. In order to count as public, the space has to be covered by security cameras. I wonder if something similar applies to so-called natural environments. 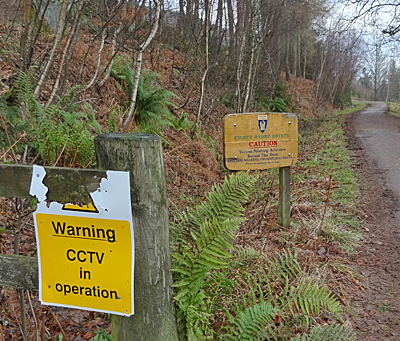 Surveillance encroaches on the countryside. We take our rubbish away with us so long as we are at risk of being watched. If it’s not cameras to watch out for people fly tipping and lighting fires, then there’s aerial photography, countless photographs by nature lovers, and even documentaries in broadcast media that confirm the existence of the natural – or without which even the natural world might not show itself, or exist … or not as we know it. Žižek, Slavoj. 2013. Slavoj Žižek on The Act of Killing and the modern trend of “privatising public space”. New Statesman, (12 July) http://www.newstatesman.com/2013/07/slavoj-zizek-act-of-killing. Also see Enchanted places, The benefits of walking, and Panoptic man. For further comment on eyes and surveillance see Mastering the universe. Is Snowden showing off or just staying alive? Well informed whistle blowers know the best place to hide is in plain sight. A quite interesting but ultimately dangerous process; when the ratings drop, often….so do they!